Latin America and the Caribbean region has achieved significant economic, labour market and social progress over the past decade while implementing an increasing number of active labour market policies. Unemployment fell to historically low levels in many countries, labour force participation rose and poverty and inequality have improved substantially. However, in recent years these achievements have begun to slow and even reverse on a number of fronts. 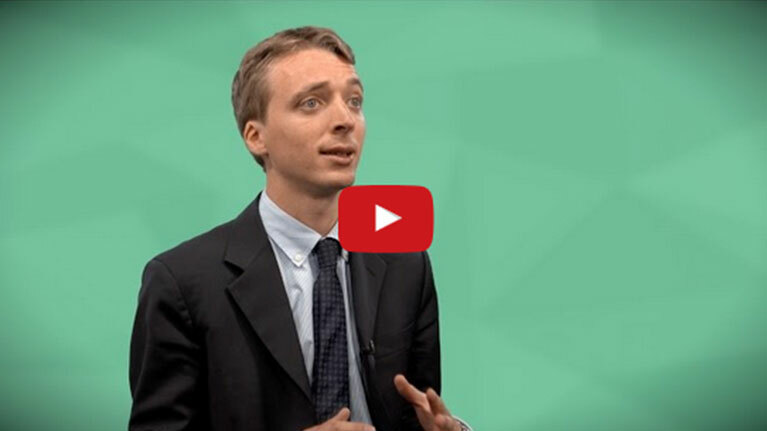 The current economic slowdown facing the region will challenge the ability of policy makers to sustain progress. This project presents the first systematic analysis of active labour market policies in Latin America and the Caribbean and assesses their effectiveness in improving labour market and social conditions. 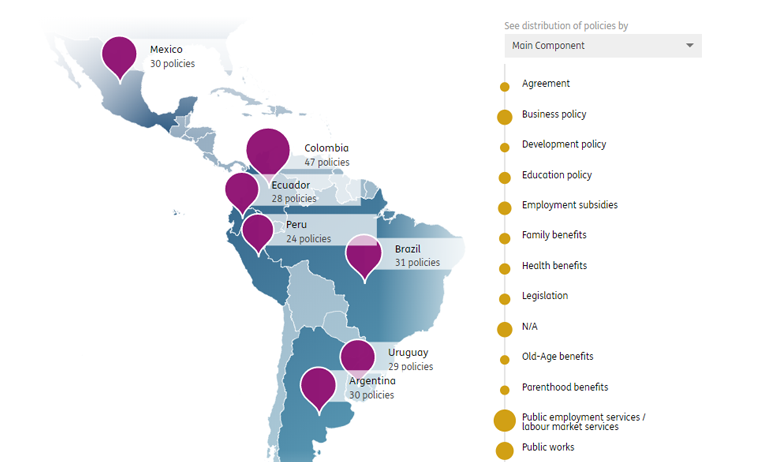 The policy compendium collects information on labour market policies implemented in a range of LAC countries since the 1990s. Among other information, for each intervention it provides a description of the programme, the target group of beneficiaries, the number of participants and the level of public expenditures. The entire policy compendium can be assessed electronically. Its main results and trends are also presented in the report (Chapter 2). 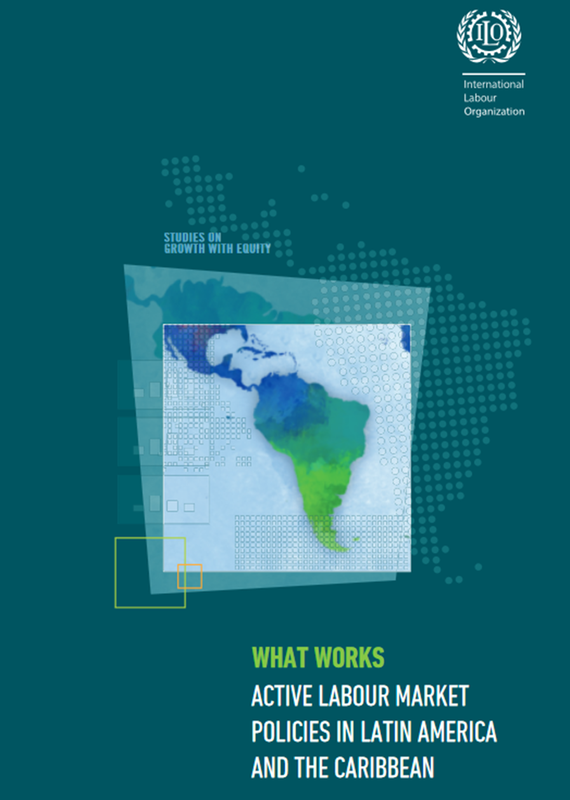 Based on a summary and analysis of labour market policies over the last two decades undertaken as part of the project, the research project concludes that many countries in Latin America do not have an integrated system of active labour market policies, even if evidence resulting from the implemented programmes in the region show that these policies have positive impacts. The research project also highlights that training programmes, employment subsidies and programmes to support self-employment and micro-entrepreneurship have shown positive results in the region, but that these policies still represent an untapped potential in the region. In fact, despite the increased prevalence of ALMPs in the region, only in few a countries like Argentina, Brazil and Chile, is the level of investment in active labour market policies (ALMPs) comparable to the levels registered in high income countries. In other countries of Latin America and the Caribbean there are either no such policies or spending levels are very low. Aside from putting a major emphasis on these active labour market policies, the research project highlights the need to improve the ALMPs in the region so that countries can take full advantage of their positive effects. It goes on to propose a series of improvements in the design and implementation of ALMPs, such as creating incentives to increase the number of beneficiaries, adapting the policies to the specific context and making sure that programmes benefit all of the target population. Workfare programmes and their impact on the labour market: Effectiveness of "Construyendo Perú"